SINGAPORE - In a move to spur more experimentation and collaboration in the local fintech scene, a new fintech innovation hub is being set up in the heart of the central business district. 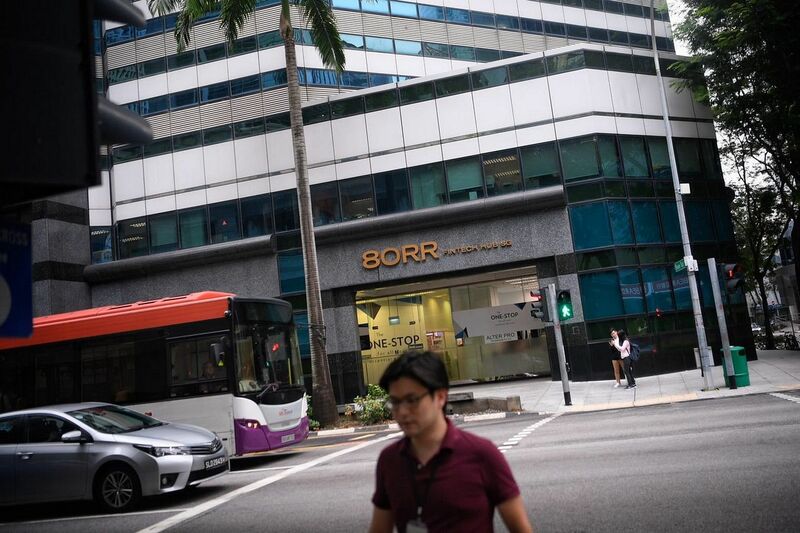 This will be a 100,000 sq ft space at 80 Robinson Road, an office building owned by Hong Leong Group, said Monetary Authority of Singapore managing director Ravi Menon. Speaking on Tuesday (Nov 14) at the Fintech Conference, part of the week-long Singapore Fintech Festival at the Singapore Expo, Mr Menon noted that in the last few years, global multinationals have set up more than 30 fintech innovation labs or research centres here. Mr Zac Cheah, the chief executive of Pundi X, a Jakarta-based blockchain start-up, said a hub such as 80RR could be a possible location for his company's Singapore base. Pundi X does not now have an office in Singapore, but is planning on one. "Our headquarters in Jakarta is housed in a private innovation hub, which we believe brings a lot to the team, from the services offered by the hub to the network generated by startups with similar goals under the same roof," he said. "Our first consideration when building a team in a new market will be to hit the ground running, and a hub such as the one just announced by Mr Menon this morning can help save time." She said that although the hub was not something her company would be a member of, it does provide free use of its market data APIs (Application Programming Interfaces)to members of such hubs. "So while the companies are at the hub, they can use our data for free to build their applications and software, so they can do demos and get funding and then hopefully become our clients."